Enrollment grew from 12,746 in 2014-15 to 20,500 this year. 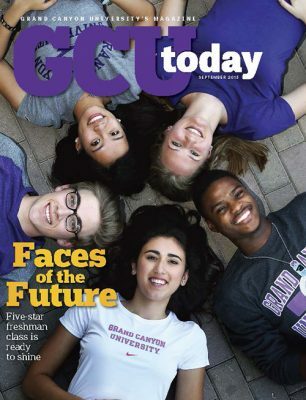 Editor’s note: The cover story in the September 2015 issue of GCU Magazine captured the hopes and dreams of a group of incoming freshmen. Several graduated early, but most will get their diploma this month – and what a historic time they have witnessed. We wanted to find out what it was like. The Grove residence halls, Lopes Way and what’s now the Technology Building had just opened in the late summer of 2015. The engineering program was in its infancy. GCU Stadium, the Student Life Building and GCU Championship Golf Course hadn’t yet been completed. Everywhere the members of the Class of 2019 looked as they checked out their new home, they saw growth. They saw excitement. They saw energy. 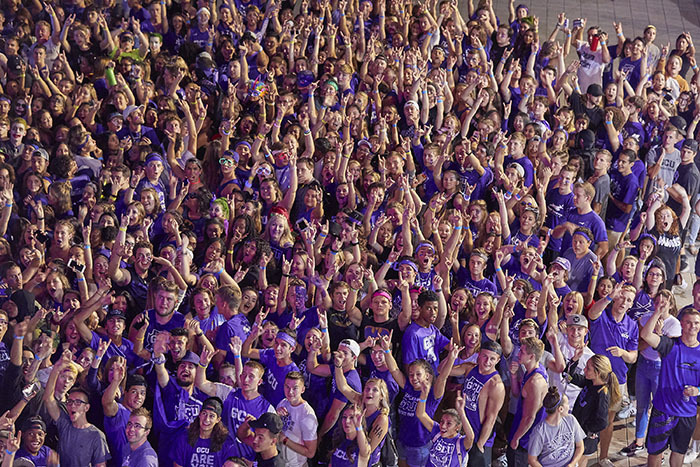 Dr. Tim Griffin, GCU’s Pastor and Dean of Students, sensed it at the time, too. He felt it at Ignite, the annual candle-lighting prayer service during Welcome Week. This was going to be a major turning point in the University’s history. They had no idea how big. In just four years, 42 buildings/facilities were built or drastically altered, with five more on the way to greet the Class of 2023 this fall. There have been 85 new academic programs or emphases. The faculty has grown by 63 percent. Ground campus enrollment has shot up from 12,746 in the 2014-15 academic year to 20,500 today. The partnership with Habitat for Humanity, just getting started in 2015, has renovated more than 220 unique homes in the community. The Students Inspiring Students initiative, granting full-tuition scholarships to deserving students in the neighborhood, began in 2016 and this month is celebrating its first graduates. Computer programming has become a major emphasis, and the first engineering grads also will stroll across the stage at commencement in a few weeks. There has been so much more, as the timeline on the next four pages demonstrates. But through it all, it still feels like “little GCU” – at least a little. “Every year it just takes me by shock, how big the campus is getting, but it still feels small, it still feels homey,” said Shelby Langston, who was among the group of freshmen on the cover of this magazine in September 2015 and is featured there again in this issue. So let’s hear from Langston and several other students featured in that 2015 magazine story – this time as they prepare to walk out the door or, in some cases, transition to University employees. Yes, it’s a tough place to leave. Who’d want to miss all this excitement? 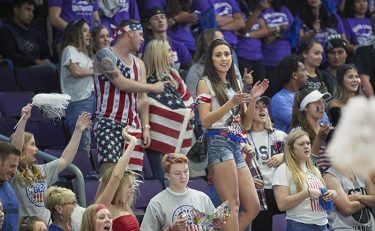 Langston’s time on campus has been dominated by her membership in the Havocs, another it-could-only-happen-at-GCU phenomenon that has gone through a remarkable transformation during this era. She is Co-President this year. Langston seemed destined to attend GCU. Sharky Baker, recently inducted into the GCU Hall of Fame, and his wife, Leona, have known her since she was a baby because they went to the same church, and she went with them to games on campus before enrolling. Even as Langston sat in her car at Move-In, her path seemed preordained. She looked over to the car next to her and recognized her roommate, whom she had only seen on Facebook. Four years later, Brianna Johnson is still her roomie in Papago Apartments. Living just a few steps from Langston, in Camelback Hall, is her sister Rachel, and that’s significant because they haven’t always been close. But the business management major (she started out in mechanical engineering but switched after one semester) might not be moving back home or anywhere else away from campus quite yet. She hopes to remain on campus as an employee for a simple reason. Steely-eyed Denisse Delos Santos, clicking away at her laptop on a Saturday in one of the first-floor labs in the College of Science, Engineering and Technology Building, knew she was destined to become an electrical engineer. She knew it and hasn’t wavered. Finish what you start, she said. The Phoenix North High School valedictorian arrived at GCU as a bright-eyed freshman in 2015. This month, she will be among the University’s first engineering graduates. “I like being first,” she said, breaking into her light-up-the-room smile. The College of Science, Engineering and Technology star also likes being busy. She co-founded the Robotics Club AND the Astronomy Club and also is a member of the Philippine American Student Association, the GCU chapter of the Institute of Electrical and Electronics Engineers (IEEE, which is helping GCU’s Formula SAE team build a race car) and the Hui Aloha (Hawaiian) Club. Add to that her work as an undergraduate researcher in the Research and Design Program’s 3D printing biotechnology group, serving as the electrical lead for such projects as a 3D-printed prosthetic hand to help the 2.4 million upper arm amputees in developing countries. Oh, and she also plays guitar and piano and belts out pop songs and ballads with her unnamed band (pay $20 at any gig and you can name the band for the night). You just might find her singing karaoke on Thursday nights in Thunderground. 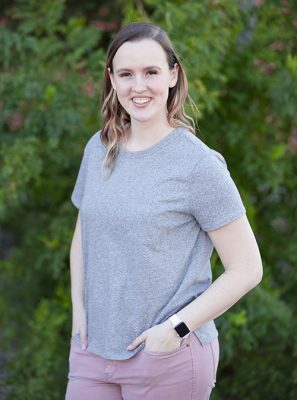 What surprised her the most in her four years at GCU was working as a writing advocate in the Learning Lounge, though the Honors College student also was an engineering and math advocate. She never thought she’d ever be helping anyone with English. What isn’t surprising: That she already has landed an electrical engineering job (and would have a 4.0 GPA if not for that A-minus in physics; she’s settling for the 3.99). In mid-March, she started a full-time job at Salt River Project utilities as an engineering tech after a year as an intern. She’ll be troubleshooting meter malfunctions and the like, undoubtedly with that steely-eyed focus of hers. As a college freshman, Briana Norheim set her sights on becoming a nurse. But how her plans have changed in four years. Just two months into the nursing program, she decided nursing wasn’t for her. Although she loved anatomy, she didn’t love physics and chemistry so much. In those two months, classmates would ask her what kind of nursing she wanted to do. They dreamed of working in the NICU (newborn intensive care unit) and gabbed about the excitement of the emergency room or labor and delivery. That’s when she listened to her heart. “God was telling me, ‘I gave you a gift for teaching. Are you using it?’ ” said Briana, who’s from Bermuda Dunes, Calif., and was among a record six pairs of twins entering GCU’s Honors College in the fall of 2015 (with brother Brian Norheim). Briana taught English for two months in Vietnam one summer and is teaching five classes – three Algebra I’s and two Algebra II’s – at Red Mountain High School in Mesa, Ariz. Although teaching was something she had envisioned for herself – she didn’t rule it out in that 2015 magazine story – she never, ever would have thought she would teach math. But it has since become her life. She wasn’t particularly strong in the subject in high school and remembers a teacher even telling her so. Briana’s twin brother, Brian, can relate to not being afraid of what life can throw at you. It was his senior year of high school and he had taken the Advanced Placement biology exam. “I actually failed the test,” he said. “My biology teacher, Mrs. But Brian stuck with it, with the support of his teacher. “I finished with the highest grade in the class,” he said. He took that lesson with him to GCU, where he stepped on campus as a freshman four years ago majoring in biology. He said back then that he wanted to become an orthopedist. Now he’s leaning toward family medicine as he readies himself to take the dreaded MCAT – the Medical College Admission Test. In his time at GCU, Brian has shadowed medical professionals in clinical and surgical settings, including in orthopedics. He also spent a summer working as an emergency department scribe, transcribing medical records. “My biggest takeaway was that that WASN’T what I wanted to do,” he said with a smile. May Carreon represents another aspect of life on campus the last four years: She has been a commuter student. 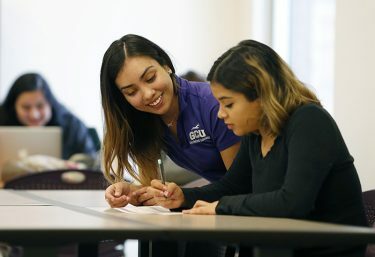 Carreon had her sights set on attending GCU while growing up right down the street, and her dream became a reality when she received a Colangelo Scholarship. She’s graduating with a business management degree and a minor in marketing. Ramping up the commuter program has been yet another major development on campus the last four years and has had a great effect on Carreon. She remembers being “very closed” when she arrived, simply going to class and doing homework but not participating in anything beyond that. Off campus, she did a summer internship for Wells Fargo’s student loans division and is now an intern for the Make-A-Wish Foundation. See if this sounds familiar: She’d like to work at GCU after graduation. Easton Barbour’s major (Christian studies) has remained the same, but his path through GCU has been a little different. After living on campus for three semesters, he wanted to be debt free and became an online student while living with his parents in Gilbert, Ariz. That has enabled him to take a full-time job as the Youth Director at his church. His favorite memory of his time on campus was the opening of Campus 49 Grill, where students can use their Dining Dollars to get a meal at a top-notch restaurant that’s still on campus. But he doesn’t regret his decision to switch to online. Briana Norheim, like Barbour, advises incoming freshmen to not let other people’s opinions limit their options. 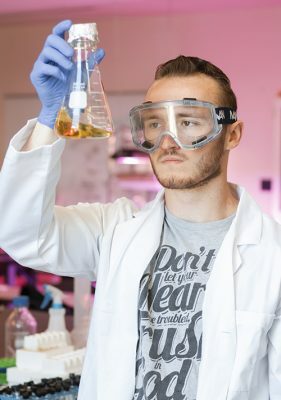 For her twin brother, it’s about passion and about purpose and knowing yourself – all things he has discovered during these four years of change at GCU. “My advice to anyone is that it (college) may be hard, but believe in yourself,” Brian said. Because leaving GCU after four of the most historic years in its history can be a shock to your system. “It’s a bittersweet feeling,” she said. And just think how much more the Class of 2023 will see. One obvious piece of advice: They need to think BIG. ● GCU forms own independent police department in the midst of five-year, $1 million partnership with Phoenix P.D. 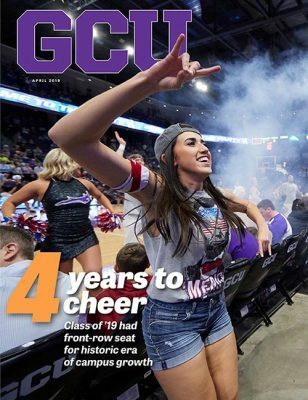 I was privileged to write that GCU Magazine cover story. It’s great to read how well some of them have done. Congratulations to all who are graduating this semester. Thank you for this article as it gives those of us still trucking along encouragement to continue the fight. I am on track to graduate in Jan 2021, and my daughter will begin her college path this fall. I love that GCU offers so many different ways and opportunities for their students to complete the end-goal, graduation.